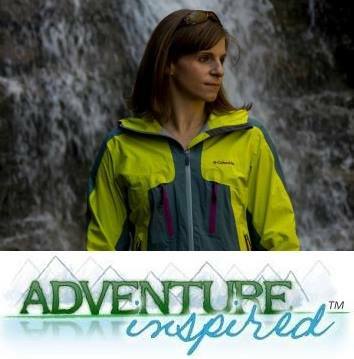 like Iceland, running his many website projects, or taking amazing photos, he's kayaking, biking, and climbing around our mutual Eastern Pennsylvania stomping grounds. Friends like Patrick are good to have because when you're friends with someone who's always doing things, if you're lucky, they'll let you in on some of their adventures. 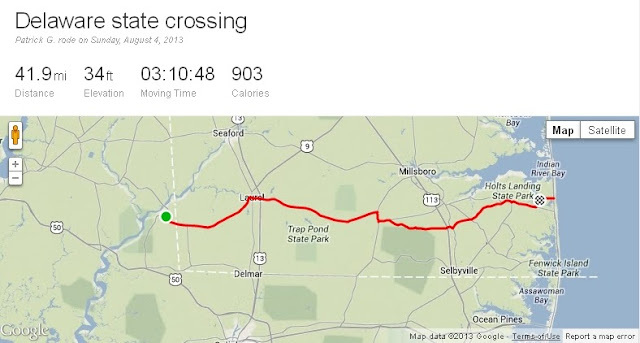 In an effort to both help Patrick cross something off of his "30 Things to Do Before I Turn 30" bucket list and because we hadn't adventured together in a while, I agreed to join him for a little bike trip. One of the things on Patrick's list was to cross one of the United States on a bike, and lucky for us, Delaware is both small and close to home. On a map, Delaware's shaped like a right triangle symbol. If we chose to most efficient (read: shortest and easiest) cross-state route, which is just over 10 miles, we could've done it in less than an hour. But of course, that would've been too easy. 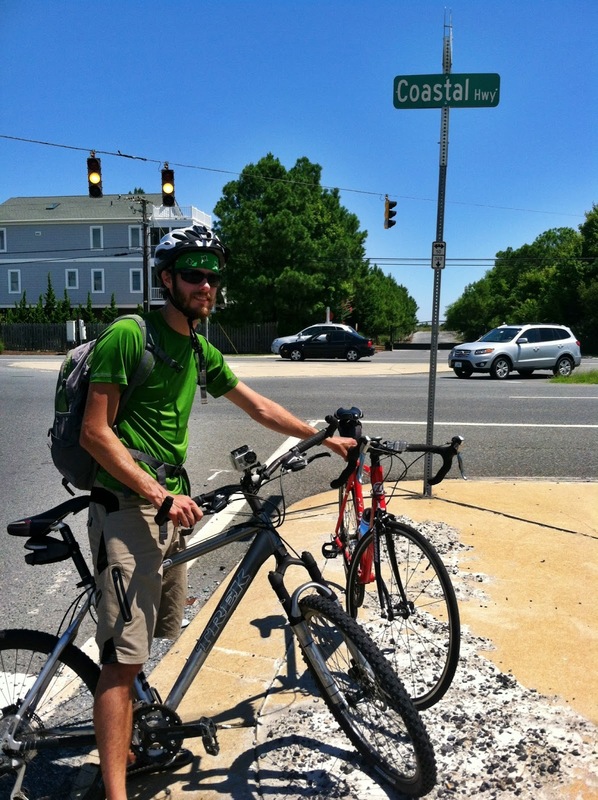 Instead, Patrick chose a route that crossed the widest part of the state - from the western border to Bethany Beach. We opted to camp at Delaware Seashore State Park the night before in order to get an early start the next morning. The park itself, situated between the Atlantic Ocean and Rehoboth Bay and Indian River Bays hosts full service sites April through November and is open with limited services the rest of the year. Surfing, windsurfing, sailing and fishing are popular activities at the park, and with good reason. Unpacking at the campsite under beautiful skies. Though I got there too late to see them in action, Patrick captured some amazing shots of some talented surfers while he was there, and we were lucky to camp there at all. Patrick scored last-minute reservations due to a cancellation. If you’re headed down to the park, book well in advance. If you prefer quiet when you camp, keep in mind that it's a popular campground off of a major roadway. I arrived Saturday evening after battling traffic with enough time to take a quick walk on the beach before dinner. Though nearby Bethany Beach and Rehoboth Beach are typically mobbed this time of year, we nearly had Delaware Seashore State Park's oceanfront land all to ourselves. After a dip in the ocean, we spent the rest of the evening plotting our route for the next day and feasting at the campsite. 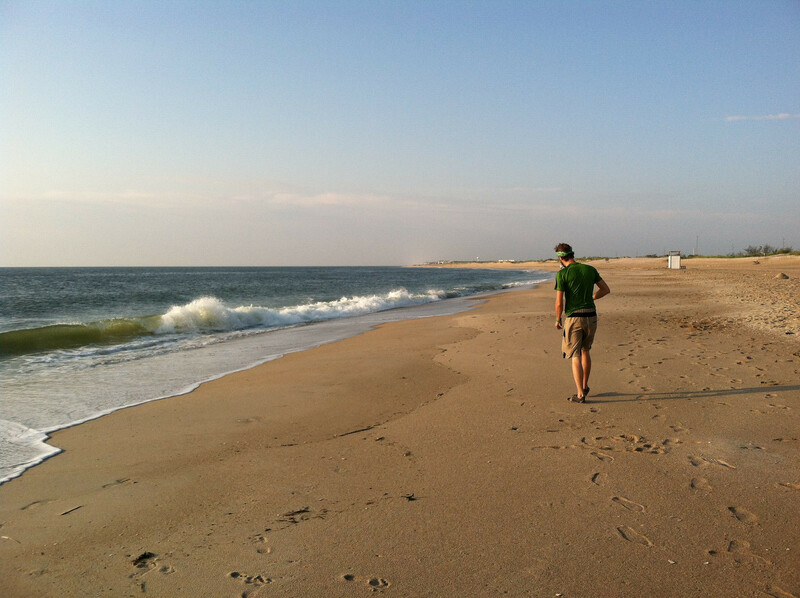 Patrick strolling along the nearly empty beach at Delaware Seashore State Park the night before our ride. Despite my best attempts at making use of all of these tips, I woke up early after an interrupted night's sleep to a welcomed sight - my giant French press already filled with coffee and bacon on the stove. (Note: In addition to having friends who do things to adventure with, having friends to adventure with who will make you bacon and coffee in the morning is the best). After breakfast, we drove west to a small town in Maryland, Sharptown, to start the trip. 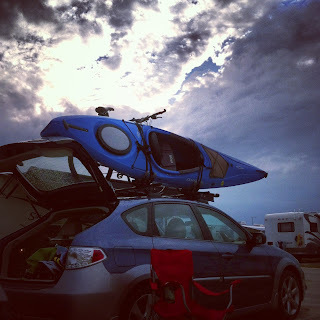 Our plan was to find a suitable place to leave my car just west of the Delaware/Maryland border, then bike back to Patrick's car, which we stashed at a grocery store parking lot in Bethany Beach. We'd load the bikes into his car and drive back to mine, then part ways for the trip home. After crossing into Maryland, we got permission to park my car behind a gas station (note: always ask first if you're planning to ditch your car in a small parking lot) and biked 1.5 miles back to the Delaware border, the official start of our ride. Click on the image to see our complete route, courtesy of Strava and Patrick. at the end of our ride, 42 miles later! The route we chose took us along major area thoroughfares, along winding country roads, and through some beautiful, rural parts of Delaware. We were lucky to have a wide shoulder or bike lane available as a traffic buffer for most of the trip. There was a small portion of the route that took us along a bumpier stretch of road, which I regretted on my road bike, but otherwise, the route was perfect. Considering neither one of us trained for the ride at all, I was impressed with how well we did with the 42-mile trip, and I credit CrossFit with the fact that I felt completely fine by the end of the day. We planned on stopping for an extended break every 10-12 miles, but found ourselves in need of only a short snack at the halfway point and another snack spot about five miles from the ocean. I'm also proud to report that I didn't tip over - something I'm still afraid of with my clipless pedals. Among the things I learned in getting ready for this trip was how important it is to plan. If you're planning a trip like this, be sure to scout routes ahead of time. Patrick came up with a few great options for us, and if we hadn't looked at them ahead of time, we could've ended up on bumpy backcountry roads or highways with no shoulder. We also got lucky with the gas station; if we'd been unable to find a suitable place to leave my car close to the border, it would've added a good distance to our ride. I also learned that it's nearly impossible to hear turn-by-turn directions on your iPhone when you're biking. I tend to avoid wearing headphones when I'm biking on roadways to make sure I can hear everything I need to hear. Approaching cars are loud, but I want to know they're coming long before they're up next to me. I'd stashed my phone in my makeshift fanny pack and turned the volume all the way up, but still had trouble hearing the directions. Luckily, we didn't have too many turns to make. I've seen map mounts for bikes during adventure races, handlebar mounts for iPhones and similar devices to make it easy to navigate without stopping, but I'd love to hear tips from readers! Got any to share? Anything else you think is essential for long rides? Who's up for biking across a bigger state, say, Wyoming? Leave a comment! Also, be sure to check out Patrick's recap of our ride, including a short video of us in action! Just got back from a bike vacation of Delaware beach towns, beautiful area. Planning same trip next year with different routing. Awesome, Pete! What was your favorite stop?